Seat is aiming to continue last year’s momentum with new products and drivetrains, while simplifying the line-up based on the Easy ordering concept introduced with the Arona compact SUV. Easy ordering, introduced on the Arona, will soon be rolled out to two more models. It follows a year where Seat was among UK’s fastest-growing brands, including a 49.4% increase in true fleet registrations and 18.3% growth overall, to 56,200 units. UK managing director, Richard Harrison said the carmaker anticipates that it would continue its upward trajectory, despite an overall market decline in 2018. 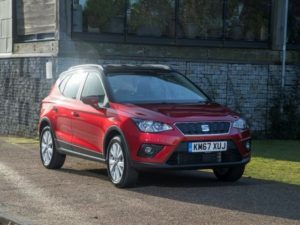 This will be its first full year with Ibiza and Arona, as well as reduced lead times on the Ateca, where previously demand had outstripped supply, while the Tarraco seven-seat SUV arrives at the end of the year. Plug-ins and sporty Cupra variants of new models are also in the pipeline. Harrison said good relationships which had been put in place by head of fleet and business sales, Peter McDonald, were a good platform as the product portfolio widens. The company is now looking at ways to grow brand awareness and do things differently where appropriate, such as the Easy ordering concept introduced on the Arona. This sets out the range around sensibly equipped, high-value trim levels, offered without cost options, rather than having an extensive list of add-ons for customers to choose from. “The Arona was a test for us,” Harrison explained. “We’d been talking to consumers finding out what they do and don’t like, and we had an opportunity with a brand new car to do something different. The reaction has been brilliant; dealers like it because it’s simple, customers like it because they don’t have a large list of options and they can see it, because the dealers have the cars available.